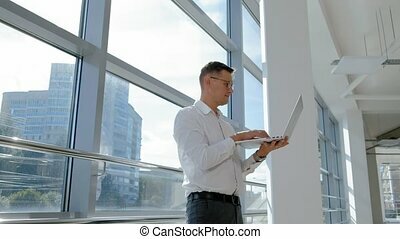 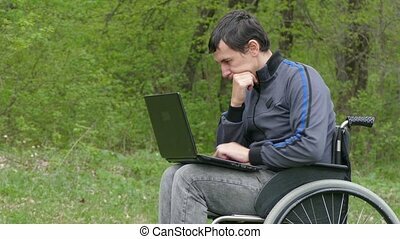 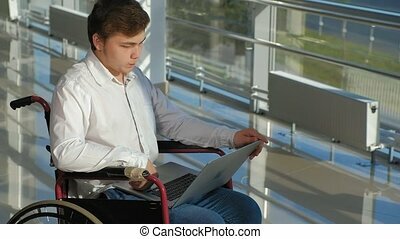 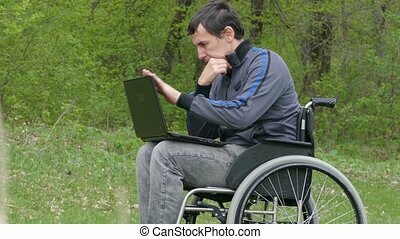 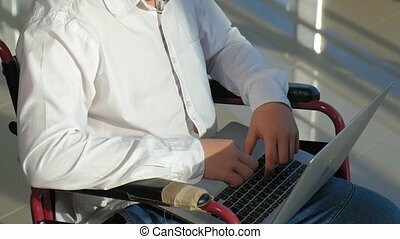 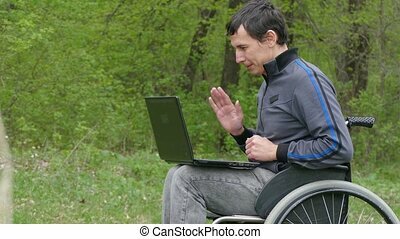 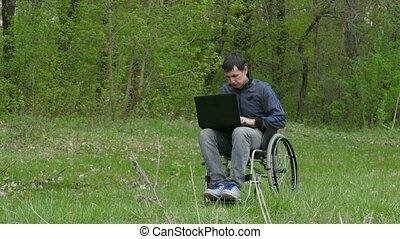 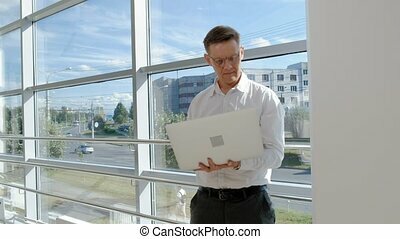 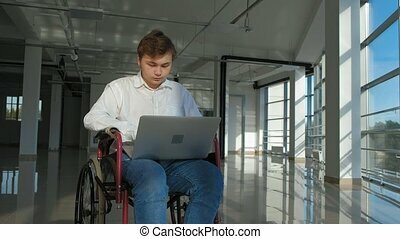 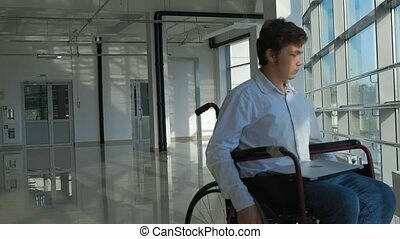 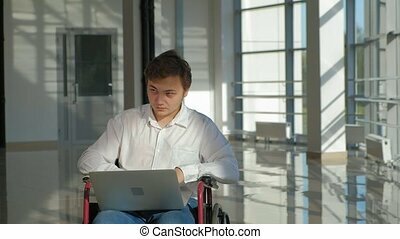 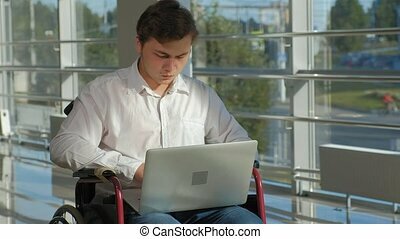 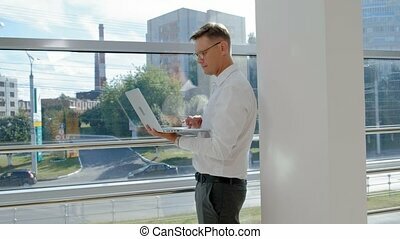 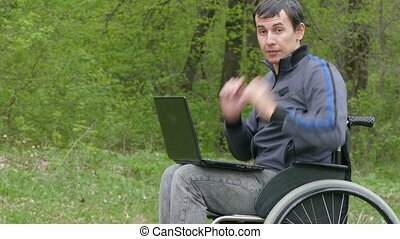 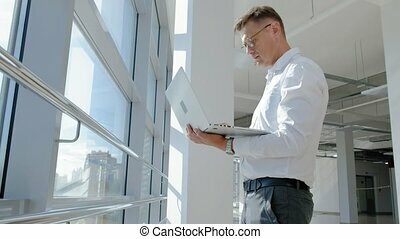 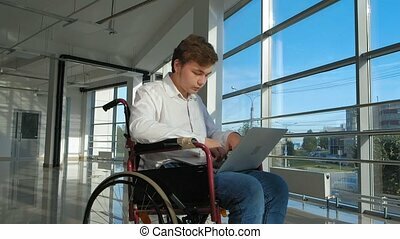 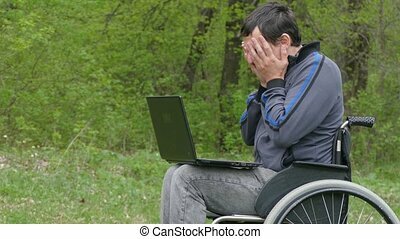 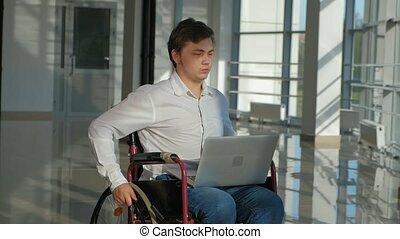 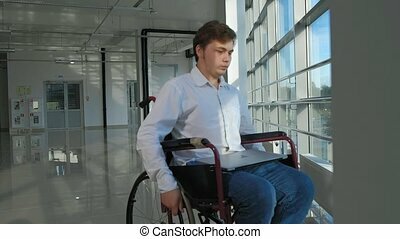 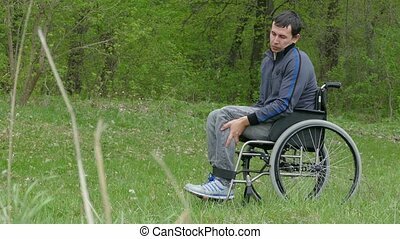 Disabled businessman on a wheelchair at a window with a laptop 4k. 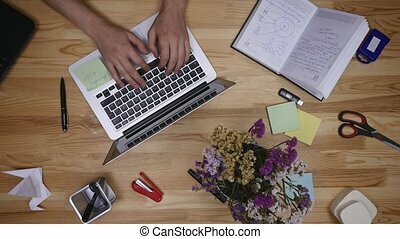 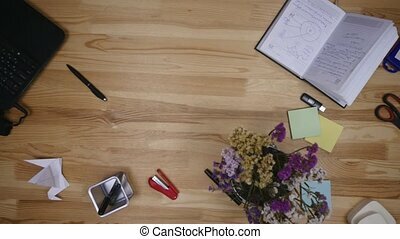 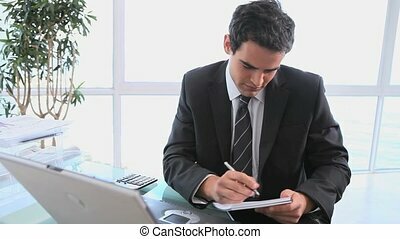 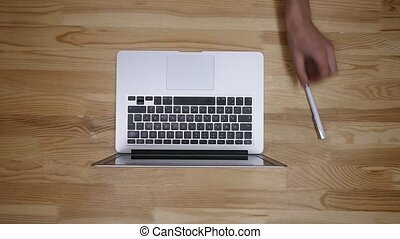 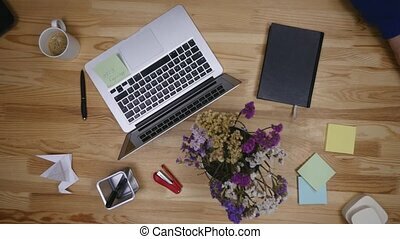 Businessman working on a laptop at office desk with paperwork and other objects around, top view. 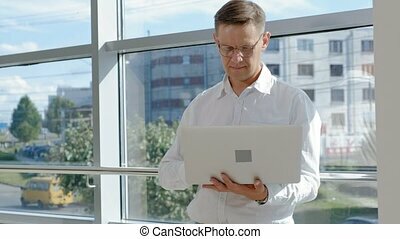 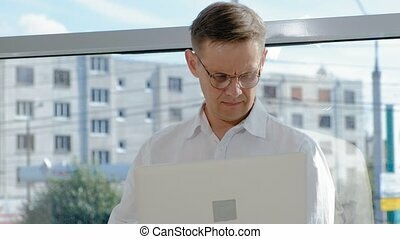 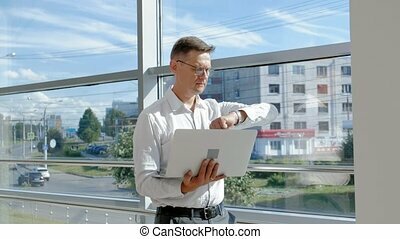 A handsome mature man with laptop and headphones working at home.